St. Paul is a historical gem in the treasure chest that is Minnesota. With the fortunes of Weyerhaeuser, Hill, and Ordway sprawled across the city, St. Paul is home to some of Minnesota’s wealthiest, most impressive architecture. Nestled into Cedar Street, The Saint Paul Athletic Club makes yet another stop on the tour of St. Paul’s luxurious historical buildings. 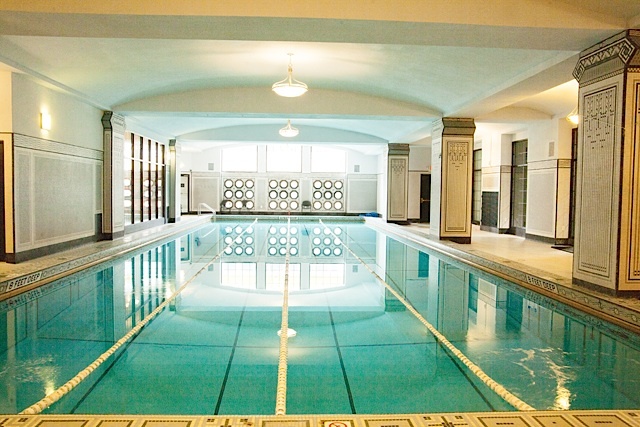 Built in 1917, The Saint Paul Athletic club set a new standard in the world of architecture after garnering national attention for being the finest building in over 1,000 miles. Although the construction only took a year to complete, the financial backing was a substantial $1 million in 1917, which historians estimate would cost around $75 million today. However, the construction didn’t end there. In 1959, penthouse dining was added on the 14th floor followed by the addition of squash, handball, and basketball courts around 1980. Following all of the renovations, The Saint Paul Athletic Club went bankrupt and abruptly closed in 1989. At an auction, Wallace Orfield, Sr. purchased the club, which sat vacant until Lifetime Fitness became its first tenant until moving out in 2010. 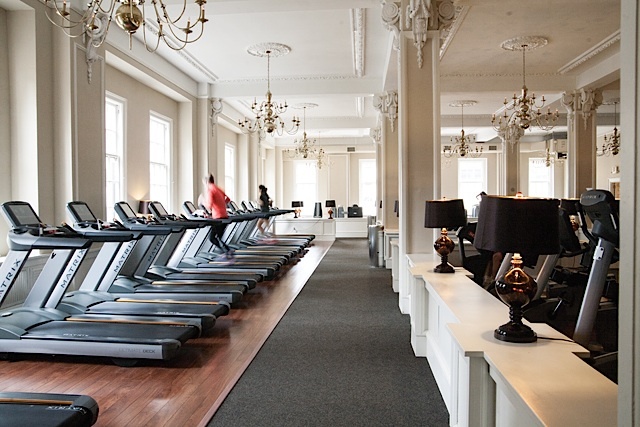 Luckily, St. Paul and Commonwealth Properties took this as an opportunity to restore the beautiful monument of history by combining modernization and restoration to create what is now The Saint Paul Athletic Club in 2013. 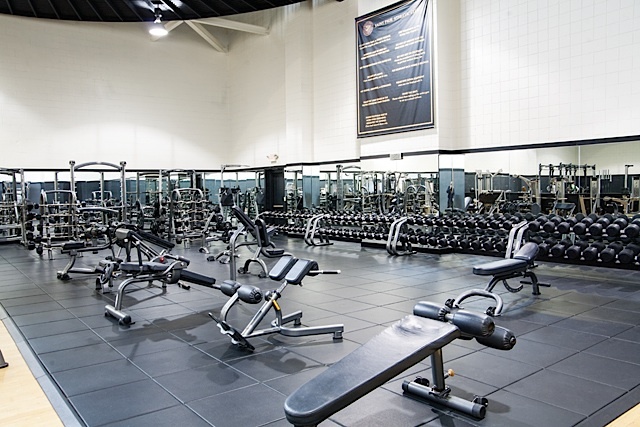 Today, The Saint Paul Athletic Club boasts 68,000 square feet of facilities including a tiered spin studio, Pilates studio, TRX studio, yoga studio, cardio room, strength training room, executive workout area, massage room, four locker rooms, and a pool. 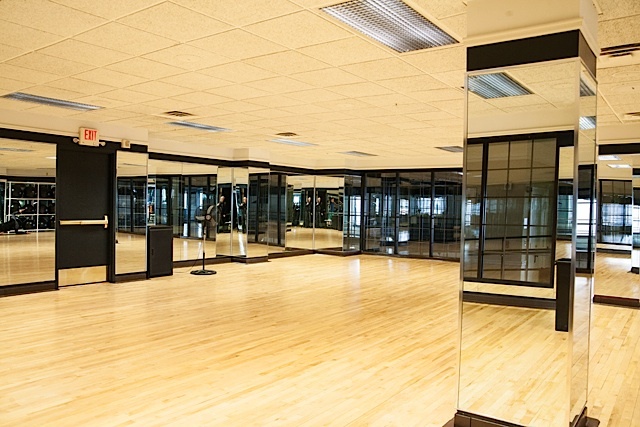 Not only is The Saint Paul Athletic Club great for independent exercise, but it also offers over 40 classes ranging from restorative yoga to fusion, a high-intensity functional training workout. 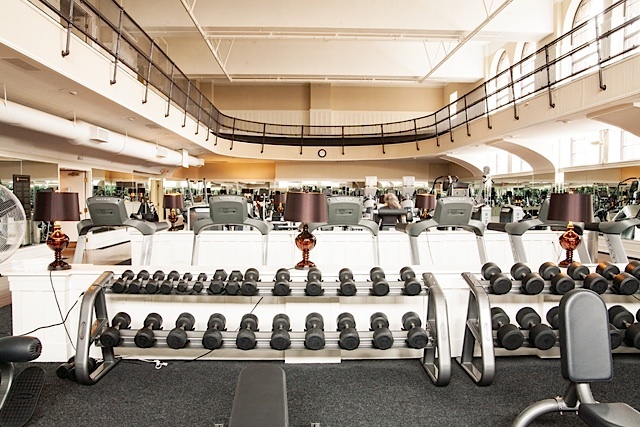 Additionally, executive members receive reciprocity admission to the University Club located on Summit Avenue, which has a workout area, tennis courts and an outdoor pool. The Saint Paul Athletic Club hosts several events throughout the year including Member Night, which takes place every Thursday between September and May. These nights typically have a theme, which can range from a wine tasting to a St. Patrick’s Day celebration to a poker night. Additionally, there is a yoga event every solstice, which includes 108 sun salutations in the lobby followed by mimosas and brunch. Monthly events such as Cycle Cinema and Candlelight Yoga are great for people with busy schedules who are interested in working out in an organized group. This summer, The Saint Paul Athletic Club will be hosting a Ragnar team and a Tough Mudder team. For executive members, the University Club will be hosting a Kentucky Derby party on May 6 as well as reggae by the pool throughout July. In addition to exercise events, The Saint Paul Athletic Club hosts an abundance of catered functions. With a ballroom that seats 330 guests, The Saint Paul Athletic Club is an ideal location for weddings and corporate events. Smaller rooms are also available for strategic planning meetings, board meetings, or brainstorming. 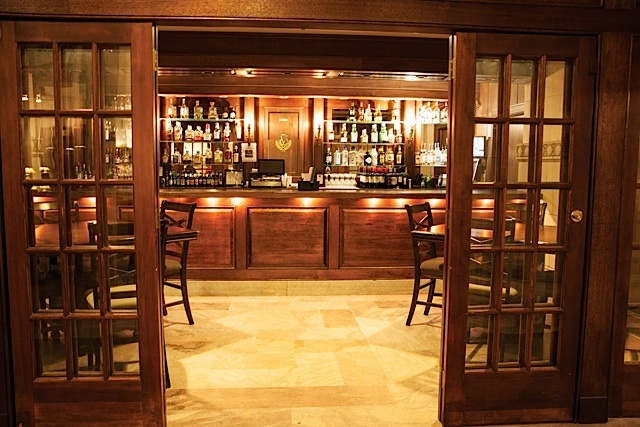 All events can be catered by the food and bar service located in The Saint Paul Athletic Club. Two bars are available for members to use at any time, and retail food service will be offered this fall. Executive members are also granted access to the University Club deck and poolside dining services, too. If you’re considering becoming a member of The Saint Paul Athletic Club, all you have to do is stop in to 340 Cedar St., St. Paul to apply or get a tour of the facilities, just as guests of Lavender’s April First Thursday at The Saint Paul Athletic Club were able to do. Memberships are month-to-month, and applications do have a fee. Although, if you join before May 31 and mention this article, they’ll waive the application fee. If you have any questions regarding a membership or The Saint Paul Athletic Club in general, you can call 651-291-SPAC (7722) or visit their website at www.TheSPAC.com. Although The Saint Paul Athletic Club has experienced its fair share of ups and downs, there is one thing that has remained constant throughout all of these years: its loyalty to the unique history of St. Paul. If you’re interested in finding somewhere to exercise, take classes, attend events, or try something new and exciting, joining The Saint Paul Athletic Club might be just what you need. Just don’t forget to pay close attention to the intricate architecture that breathes pure St. Paul history.